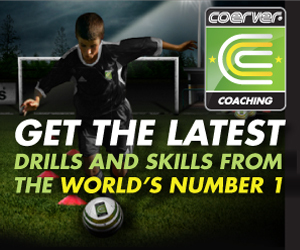 Improve your soccer skills using the world famous training techniques of Coerver Coaching. New DVD from Coerver called, "Play Like The Stars" includes more than 50 super soccer skills, and is suitable for boys and girls of all ages and is guaranteed to improve all players whatever their skill level. For young soccer players, there's no better way to learn than to model your game after a top soccer player - that's exactly what Play Like the Stars DVD is all about, learning from the greats of the game. Get more than 50 SUPER SKILLS. SUITABLE for boys and girls of all ages, from beginners to advanced players. Get AMAZING SKILLS from the legends of the game. GUARANTEED to improve all players. You’ll find it easy to pick up and FUN TOO! As with all Coerver DVDs, there's a 100% Satisfaction Guarantee. Who wouldn't want to play like Messi, Iniesta, or Crisiano Ronaldo? 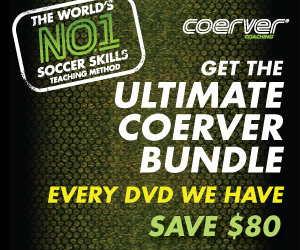 What's more, this Coerver DVD only costs $19.95, so what are you waiting for, get the DVD and start becoming a better soccer player today. Buy Your Play Like the Stars DVD here.